Keeping up with Sleeping At Last's monthly EP progress since last October has been an enthralling, if a little exhausting journey. But for every cynical thought that's entered my mind, doubting the consistency of quality in their next release, Sleeping At Last have been able to wash all doubts and misgivings I've had about their eventual span of 36 songs. While Yearbook - November saw the advent of my favorite Sleeping At Last material to date and Yearbook-January saw the birth of beautiful instrumental work, Yearbook-February seems to have reached a stagnant phase within the project. 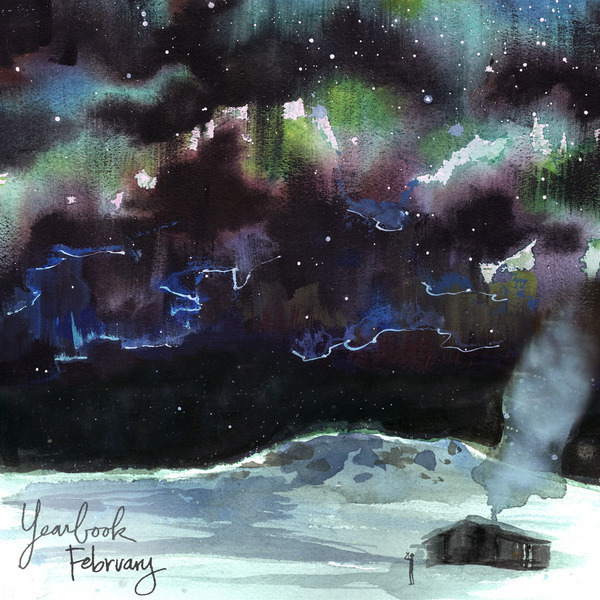 Perhaps it's just a mark of how much I've come to expect of Sleeping At Last when I say that I was immediately disappointed as Yearbook-February thrusts its audience into the lovesick musings of "Dear True Love." It's not to say that listeners won't adore the gentle mandolins next to Ryan O' Neal's voice, but it fails to exist as anything but standard Sleeping At Last material. 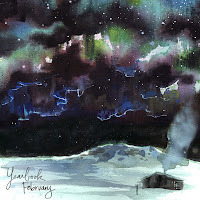 Fragile vocals aligned with even gentler instrumentation may consistently be beautiful, but the highest points of the Yearbook releases have been when Sleeping At Last shed what they are comfortable with and decide to experiment. So it goes without saying that it's neither very disappointing nor exciting to hear Yearbook-February stay very true to their original sound. Is it beautiful? Absolutely, but how many sunsets need to fall in the exact same perspective before one is tired of the spectacle? The tragedy of Yearbook-February is that it is the only Yearbook release to date that I could not recommend as necessary for fans of the duo. Sleeping At Last remain graceful, I'm only left wishing they broke out of their safety a little more often.